The Saddlebrooke Squares gathered for our annual Christmas Party Thursday December 13. The Activities center was decked out with holiday decorations as we gathered to celebrate the season. This year Larry Kraber and Bonnie were joined by our new club callers Dean Singleton and Bob Asp. Bob’s wife Cinda also joined the fun. Of course, the food was delicious and the square dancing fun. Special thanks to Cindy Blount and her crew for decorating and organizing this wonderful event. The Saddlebrooke Squares and friends gathered at The RoadRunner Theatre on Dec 9. There were 30 club members who laughed till they cried as they watched the hilarious production of “Inspecting Carol”. Following the play, everyone went to BJ’s restaurant for a great dinner. The trip was organized by Richard and Donna Martin. Don’t miss the next SBS social trip! Saddlebrooke Squares is having a 25th anniversary dinner for former and current club members on January 26, 2019. Click here for details. 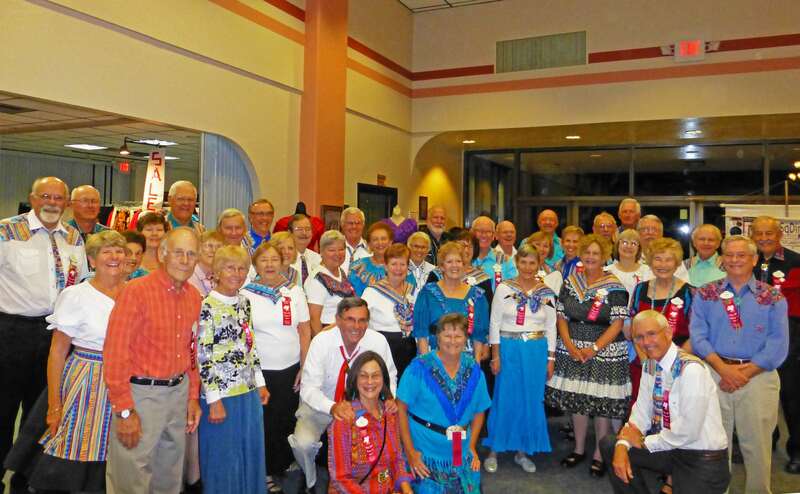 The Saddlebrooke Squares rounded up 3 squares to Raid the Western Whirlers at Old Pueblo dance center on Tuesday Nov 6. Besides getting our banner back and we also got their banner AND their caller, Dean Singleton’s shirt 😁. International caller Johnny Preston didn’t disappoint as he kept the floor hopping. Our thanks to Carol and the rest of the Western Whirlers for such a warm welcome and great dance. 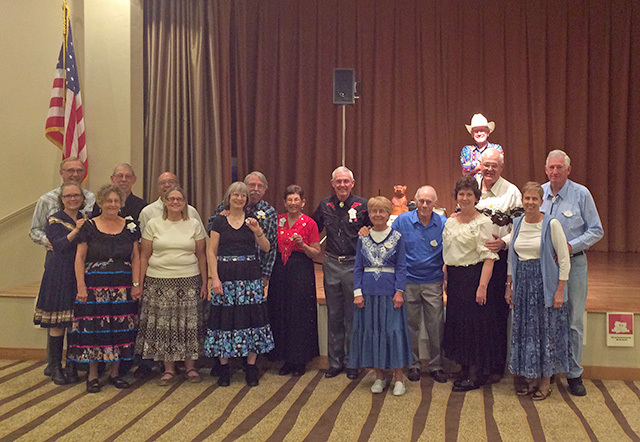 It’s great to get out of Saddlebrooke to support square dancing in Tucson. Thanks to all the Saddlebrooke Squares who joined the raid!! Watch for more raids in the near future. On February 5, 2015, two squares performed the “Running Bear” set dance to a crowd of onlookers during our normal Thursday night dance. They received their Running Bear dangles for executing the dance to perfection. Congratulations to all the Running Bear participants. Posted in Past	| Comments Off on Perfection!! !